Please take your medications as directed, an 8-12 hour fast may be recommended for the blood test. Drink plenty of water especially the morning of the blood draw. There are thousands of blood tests available; this is a small sample of the most commonly requested. Includes over 40 blood tests. Arthritis Profile – $80.00 Includes: ANA, ASO, Rheumatoid Factor, ESR. CA-125 – $50.00 Used for therapeutic monitoring, residual disease detection. Cardio CRP (High Sensitivity) – $50.00 This test is used to determine the relative risk of cardiovascular disease. CK Total – $20.00 This test helps monitor the affects of certain medications, such as statin drugs. Hemoglobin A1C – $30.00 This test gives the average blood sugar for the past 90 days and is used to detect and manage diabetes. Homocysteine – $45.00 This test helps monitor the risk for stroke and coronary artery disease. High levels of homocysteine in the blood are believed to increase the chance of heart disease, stroke, Alzheimer’s disease, and osteoporosis. Lipid Panel – $25.00 Includes: Cholesterol Total, HDL, LDL, and Triglycerides. Prothrombin Time /INR – $30.00 This test is used to monitor the affects of Coumadin (Warfarin) medication. PSA – $35.00 Early detection of prostate cancer; recommended annually for men 30 years and over. TSH (Thyroid Stimulating Hormone) – $35.00 This test is used to evaluate thyroid function, mainly to see if it is underworking or overworking. T3 Free (Triiodothyronine) – $50.00 This tests the free T3 level, which is the high potency thyroid hormone. T4 Free (Thyroxine) – $25.00 This tests the free T4 level, which is the more abundant thyroid hormone. Vitamin B12 – $50.00 Helps monitor an important vitamin for maintaining healthy nerve cells. Vitamin D (25-Hydroxy) – $50.00 This test is used to monitor patients taking vitamin D supplements and diagnose deficiency. A recent study by the National Health and Nutrition Examination Survey found that 42% of the American population is Vitamin D deficient. 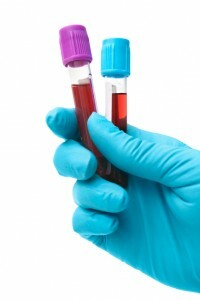 Contact Healthchek for complete information on our blood test services.